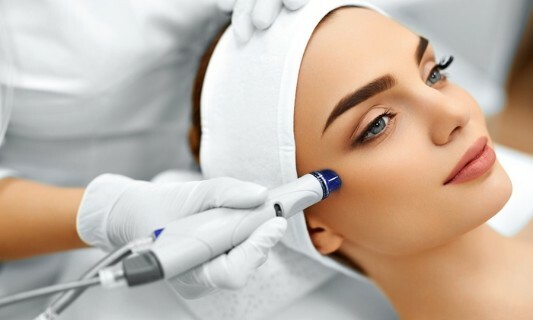 Home / Health & Beauty / Why Is It A Good Idea To Buy Used Cosmetic Laser Equipment From A Reseller Center? Why Is It A Good Idea To Buy Used Cosmetic Laser Equipment From A Reseller Center? It is no secret to anyone the reason why many people do not agree with the purchase of used machines. In principle, nobody can know how and for how long that machine was used by its previous owner, and therefore, they consider that there is no guarantee that supports their investment. However, this does not have to be a problem. Although the above is true, this occurs mostly when the parts are purchased directly from its owner, for example, the cosmetician who had been using the equipment. This can be solved quickly if an intermediary is employed. Laser equipment resellers have a highly specialized work team that will make all kinds of revisions, repairs (if applicable) and improvements before re-launching a product to the market. Also, these centers usually have a high criterion before accepting equipment that they can offer for sale, so in these cases, the guarantee is provided by this intermediary center that truly knows the subject and that will be in charge of providing a quality product. In addition, you can be sure that they will offer you and talk to you honestly about the product and its use before you consider buying it. You will acquire an extremely economic product. Even 70% of the investment could be decreased simply by making the decision to opt for this means. They have a repair service. It is not only important for the product you buy, but for many others that you have in the office and that have not received their repairs and relevant maintenance. You can also sell. What if you're the one who wants to get out of a machine? Well, you can also offer them and they will do the rest of the work. You have guaranteed. Yes, as was mentioned, the most important thing about this style of buying used equipment is that there is someone who can stand up for the product that you take to your office. Without a doubt, this will be a decisive factor for your decisions. There is a greater inventory available. By receiving such versatility of products, it is much more likely that you will find a variety of high-end products in this place. Medical equipment, in general, tend to have a high cost, however, those who lead the top are the lasers. These are used particularly in the cosmetic area and are essential to perform any of these tasks. One of the most important concerns of professionals in these areas is not having enough money to purchase their products and work on their own. This can be completely different if you opt for this kind of products that are ideal if you are starting with business. It’s time to go to your favorite Cosmetic Laser Warehouse and find all the products you need to work as you should.